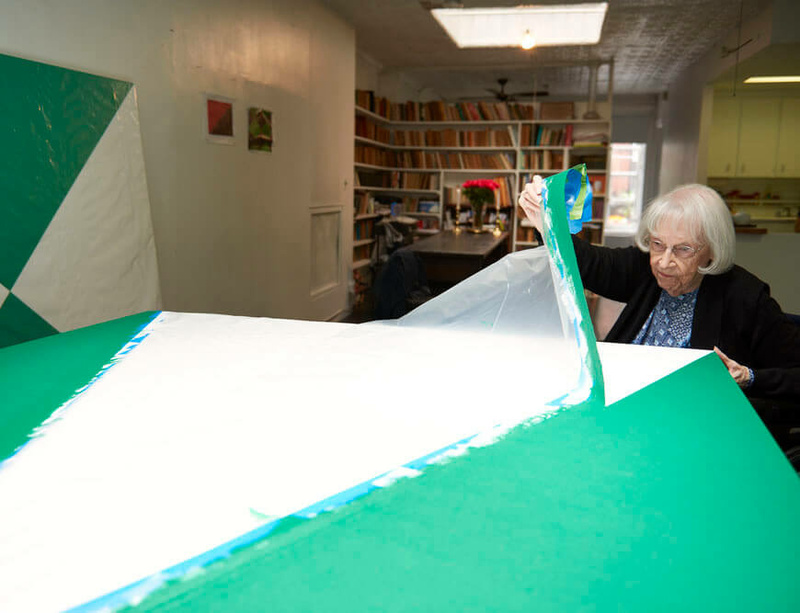 The US theatrical premiere of THE 100 YEARS SHOW, a documentary film about Carmen Herrera by Alison Klayman, is at Film Forum on January 11, 2017. Klayman is best known for her award-winning feature Ai Weiwei: Never Sorry. Carmen Herrera: Lines of Sight, the critically acclaimed exhibition currently on view at The Whitney Museum of American Art, has been extended through January 9, 2017. Lines of Sight travels to the Wexner Center for the Arts in Columbus, Ohio, opening February 4, 2017. THE 100 YEARS SHOW will play for one week only, January 11 through 17, at Film Forum, 209 West Houston Street (West of 6th Avenue), New York. It will be screened daily along with EVERYBODY KNOWS…ELIZABETH MURRAY at 12:30, 2:30, 4:40, 7:00, and 9:10pm. Tickets are available at filmforum.org.